AMA Basic Education offers Math and Science oriented education using the world-acclaimed Great Explorations in Math and Science (GEMS) teaching method made famous by the UC Berkeley Lawrence Hall of Science. Its instructional methodology is geared towards maximizing the interest of young students through fun and intelligent activities that would enhance their logical, analytical and creative thinking skills through participative and interactive learning. While there is deliberate emphasis on Math and Science, the school offers a holistic and value-centered education that prepares the child for this highly advanced and fast-changing world. 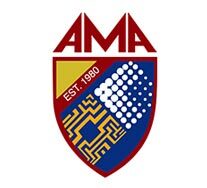 AMA Basic Education is geared for the K+12 Enhanced Basic Education Program of the Department of Education and maintains the advantage of an IT based instructional program balanced by competent and compassionate teachers. 2. Area with an initial minimum of 600 sq. meters available space as per DepEd requirement.